There’s always that visceral, outstanding music that comes through from start to finish like an echo from beyond. You hear it in a lot of shoegaze from Slowdive to My Bloody Valentine. ‘80s synth masters like New Order and The Cure also manufactured this kind of sound-from-beyond to near perfection. These kinds of sonics surely had an impact because so many current bands are trying to duplicate and update them. Captured Tracks and Slumberland Records stand as twin towers of this latter-day shoegaze worship, a Mecca and Medina of dreampop. The latter’s greatest standard-bearer is Weekend, and their sophomore release, Jinx, does anything but slump. 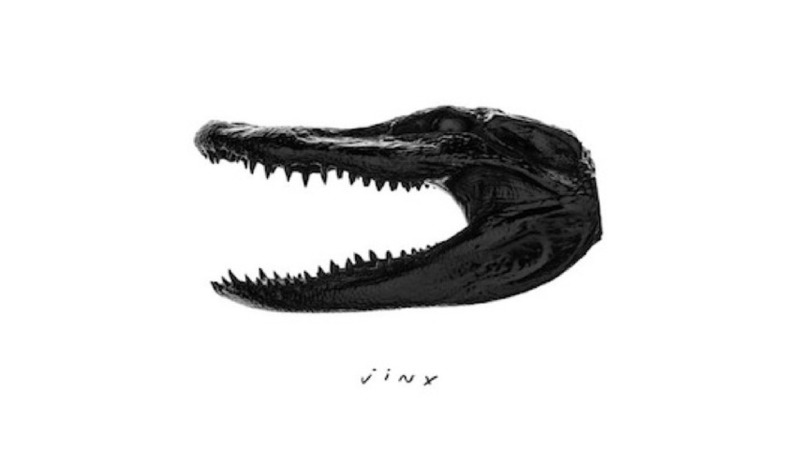 Where Sports, their debut, was edgy and distorted, Jinx stands out as a more melodic affair. This is less the shoegaze of My Bloody Valentine’s louder moments and more the type put out in past years by the likes of Chapterhouse. Their first was much less produced and way more garage. It was confined spaces filled with hushed loudness, maddening guitar stabs muted by lethargic vocals. Jinx is a cavernous, open field of sound from beginning to end. It’s Sports unshackled and released. And once the beast was set free, it turned out to be startlingly domestic. That’s not to say it’s tame, just friendlier than you would’ve thought at first. It has teeth, but not the sharp incisors its predecessor did. When Jinx goes on the hunt, it tends to do so with a swift, fast-paced stealth that’s as marked by aggression as it is by grace. It’s a sprint from beginning to end, but its pace is kept up with the patience and clarity of a marathon runner. From opening track “Mirror” on, the staccato picking familiar to any alternative ‘80s fan exists alongside the ‘90s fuzz of shoegaze. Every vocal sounds like an instrument beyond itself, more like a synth pad than a melody line. The basslines run with ever-quickening frequency and the occasional keyboard or synth serves to punctuate the pervasive wall of sound created by the band. Jinx may not be as immediately jarring and respectable as their debut, but it certainly keeps the ball rolling. In a lot of ways, it has taken what Sports did and created an even greater tapestry with it. The crocodile silhouette on the cover is telling: its mouth remains open, and there’s always the threat of it snapping down. Kudos to Weekend for creating an album whose bite doesn’t even need to clench to be noticeable.